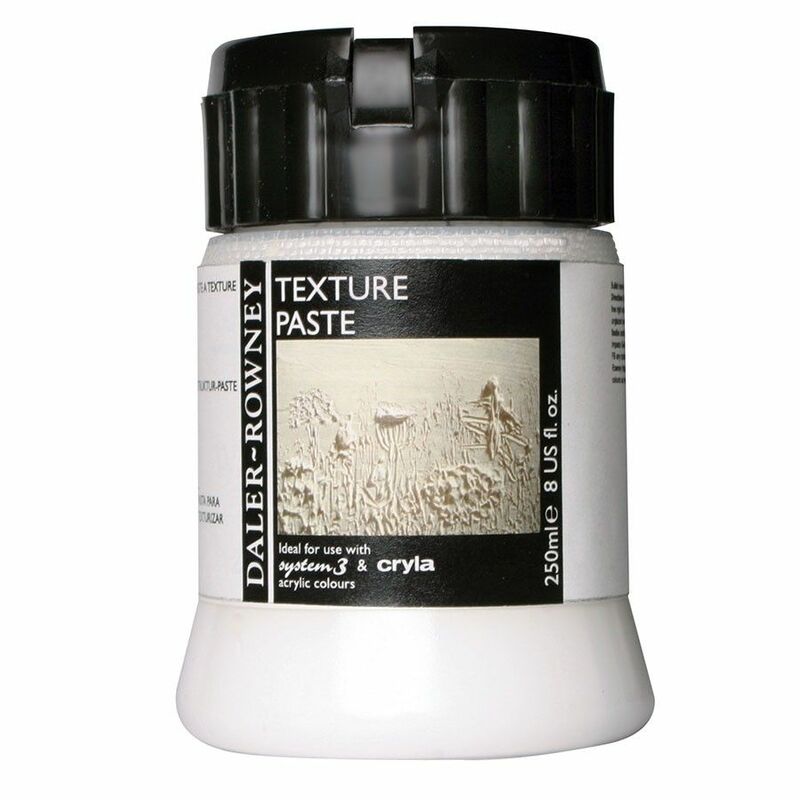 Texture Paste is a thick white matt paste which is used to build up heavy layers of texture. It dries to a matt finish which is ideal for overpainting with acrylic colour. Texture paste can be applied to a wide variety of grease free surfaces. If the texture paste is applied to a more flexible surface then it should be mixed with acrylic Impasto Gel Medium (Matt). When doing this, it is important to increase the amount of Gel Medium according to the thickness of the paste applied.